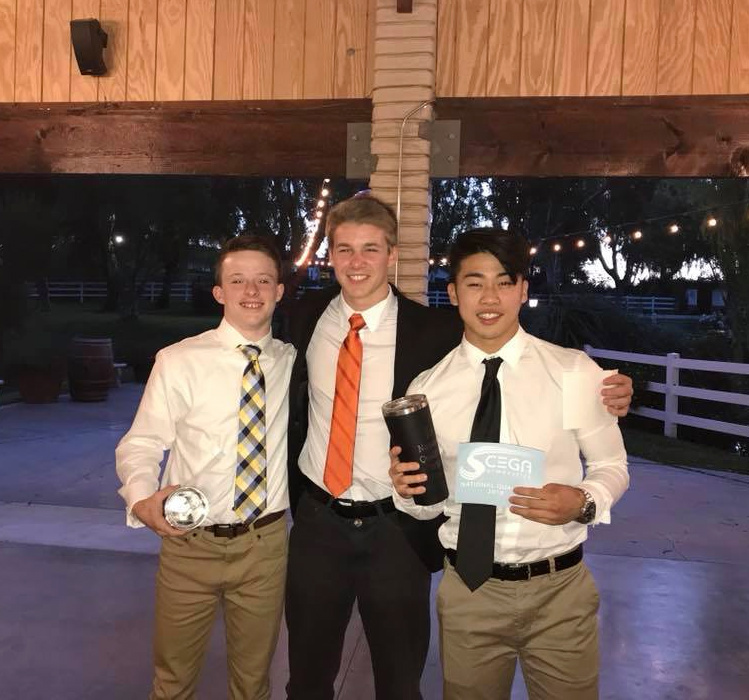 Great banquet last night celebrating our SCEGA Boy’s Team and their 2018 season!! We are so proud of all our boys and their accomplishments this season!! We also celebrated the opening of our new French Valley gym where our boy’s team now practices! !Congrats to senior Eric Nakamura for accepting an athletic Scholarship to University of Minnesota!! Special Congrats to our Gymnast of the Year-Blake Wilson who received a Full Athletic Scholarship to Stanford University!! Blake was also the Level 10 Junior Elite High Bar NATIONAL CHAMPION and qualified to compete at this year’s USA Championships in Boston in August before he heads to Stanford in the fall. Thank you Coach Adam Lomax and Ashley Stevenson for all your hard work with our boys!! Super excited for my son Ron Strate to be part of the coaching staff for this next season too! !